We all carry the remnants of our feminine lineage in our bodies: the stories, the stories, the joy, the heartache, the accomplishments, the desires, the tenderness, and so much more. 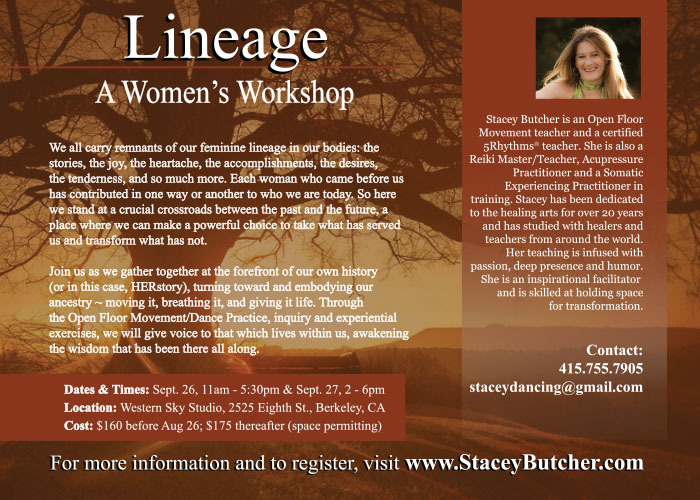 Each woman who came before us has contributed in one way or another to who we are today. So here we stand at a crucial crossroads between the past and the future, a place where we can make a powerful choice to take what has served us and transform what has not. 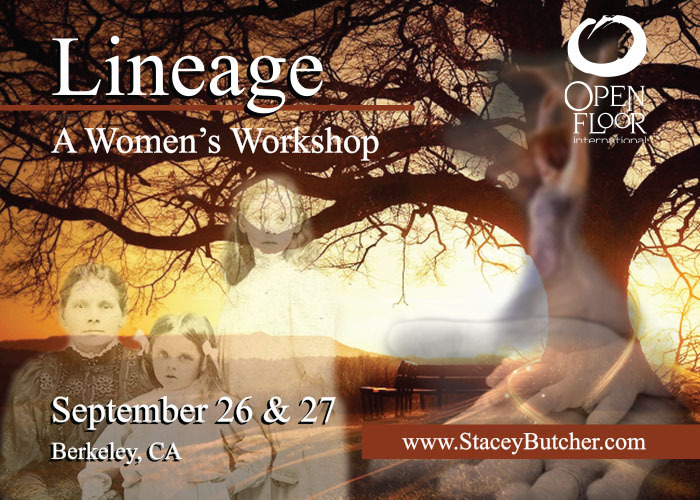 Join us as we gather together at the forefront of our own history (or in this case, HERstory), turning toward and embodying our ancestry ~ moving it, breathing it, and giving it life. Through the Open Floor Movement/Dance Practice, inquiry and experiential exercises, we will give voice to that which lives within us, awakening the wisdom that has been there all along. All levels of experience welcome. Women ages 18 and up. Financial Help: There are a limited number of work trade and partial scholarship options available. These must be arranged prior to the start of the workshop. If you are in need of financial assistance, please click here to fill out a financial assistance form. It is a photograph of her great grandmother Maria Danson, nee Rawcliffe, with her only daughter (after 8 sons) Jenny and her little granddaughter Annie Maria whose mother died when she was only a year old, and her father died whilst in army training during the First World War. It is believed that the photograph was taken around 1908-9.